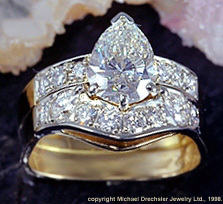 This custom design wedding ring set has a pear shaped center diamond in the engagement ring with pave set side stones. The rings are set in 18 Karat yellow and white gold. 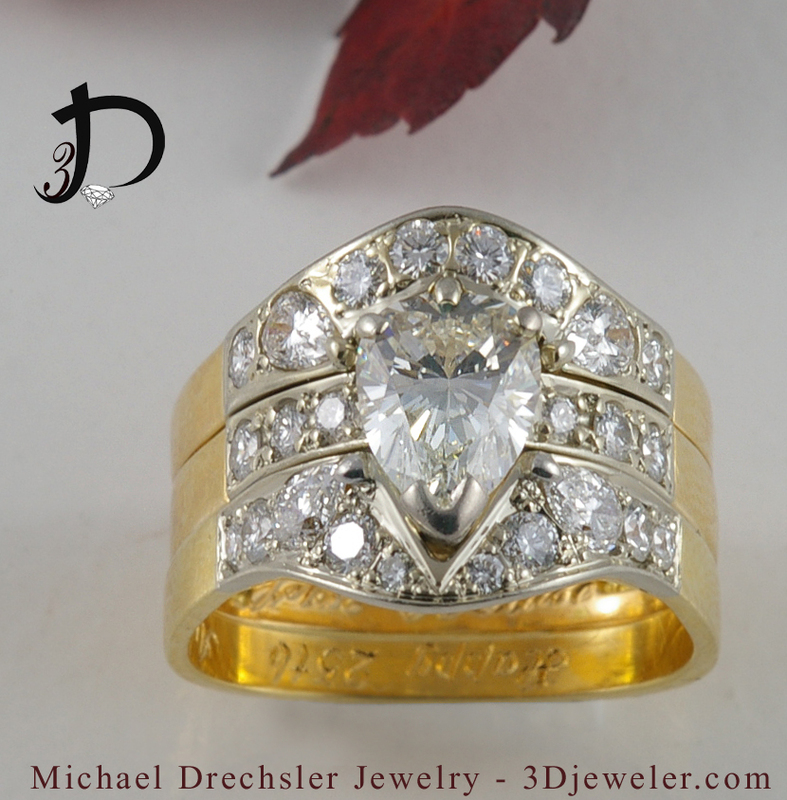 brilliant cut diamonds that have been curved to fit snugly beside it's partner.